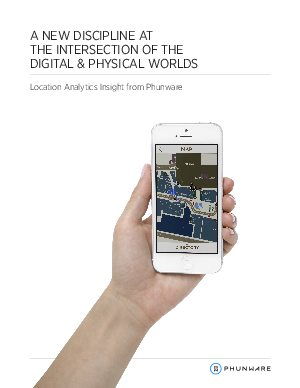 Location analytics can be extremely valuable in its own right because the very apps that help to generate the data can also be used to act on insights. Marketing or customer service notifications can be sent in real-time, or the visual and functional appearance of the app can be changed based on insights that have been gleaned, either instantly or over time. But the concept of Location Analytics is most powerful when systems generating location data are connected with other systems within the enterprise including CRM, Loyalty, Marketing Automation, POS, Customer Service, Space Management, Merchandising and Business Intelligence systems and when these systems are leveraged, provide a new “layer” in the integrated analysis and response system that affects every customer-facing aspect of the enterprise.